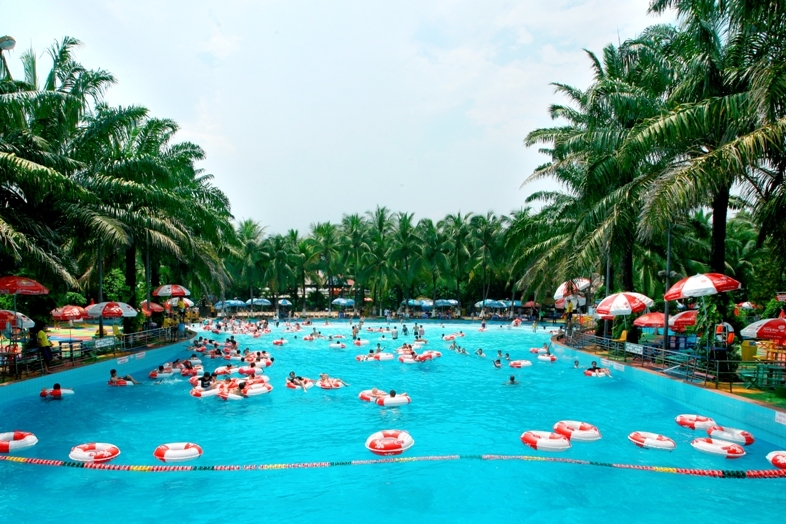 Let’s face it, you cannot completely avoid the heat in Ho Chi Minh City. The dilemma is, you want to tour around the city but most of the tourist attractions are not air-conditioned. Here we round up the best places to chill in the city this summer. The quickest way to cool off is to dive into a refreshing swimming pool. For those who look for something quieter than the stacks of public swimming pools, some hotel pools do offer reasonable prices along with good ambiance. Occupying the 1920s former historical French garage, the Rex Hotel is a good start. With views over the vibrant downtown area and the Bitexco Financial Tower, the rooftop pool with its bar gives visitors a chance to beat the heat of the city. Another Saigon’s iconic hotel, Caravelle Saigon is also a classy joint. It housed both the Australian and New Zealand Embassy during the 1960s and was known as a communication hub for foreign correspondents. Surrounded by plenty of plants and tropical trees to shade you from the city’s sun, the pool is just one of the elements that make this such a laid-back place. There are many lounging spots inside for you to relax and drink in communal areas decked with the eco-friendly decor. With a variety of slides and rides, Dam Sen Water Park provides fun and entertainment to guests of all ages. It is perfect for kids and teenagers, but thrilling rides like Black Thunder and Boomerang – in which the brave can slide into pitch-black tubes with laser effects or freefall for a scary 12 metres – should be exciting enough for anyone. If you don’t want to go to great effort to chill out, head straight for the HCMC’s best ice-cream shops. It would be folly for an ice-cream shop to determine a travel destination, yet in summer Baskin Robbins really makes a powerful argument for doing just that. With 16 flavours in total, the ice-cream here is deliciously rich and creamy, not mention the real hot fudge. Summer is the perfect time to quench your thirst with an icy beer. As the city has been undergoing a craft beer revolution, getting a seat in a cool, chilled-out city centre pub seems like a great plan. 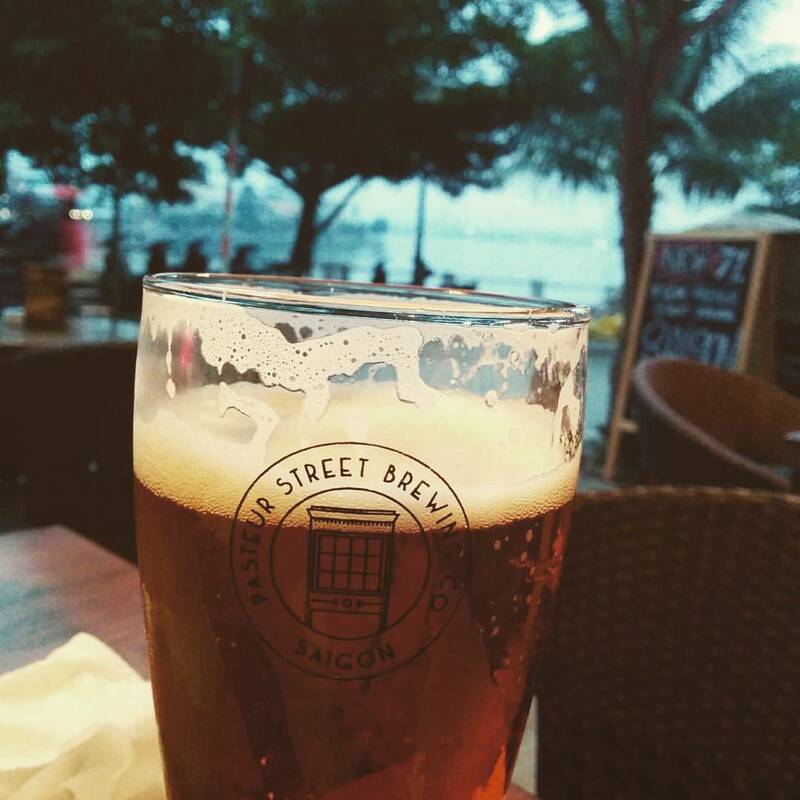 Pasteur Street Brewery is on a mission to prove craft beer can thrive throughout the country. Despite its modest design and tiny space, Pasteur Street has an unusually good beer selection with more than 70 varieties. Its key taps regularly feature Passionfruit Wheat and Jasmine IPA. Another option to escape the heat is Bia Craft with its warm and lively atmosphere where you do not need a TV to find a drink mate! You do not have to have hot weather to enjoy a cool-off day trip to a green village-like space, but it does help. For some real respite, Binh Quoi Village is a shady retreat in green grasslands, small cottages and fish ponds surrounded by coconut trees. 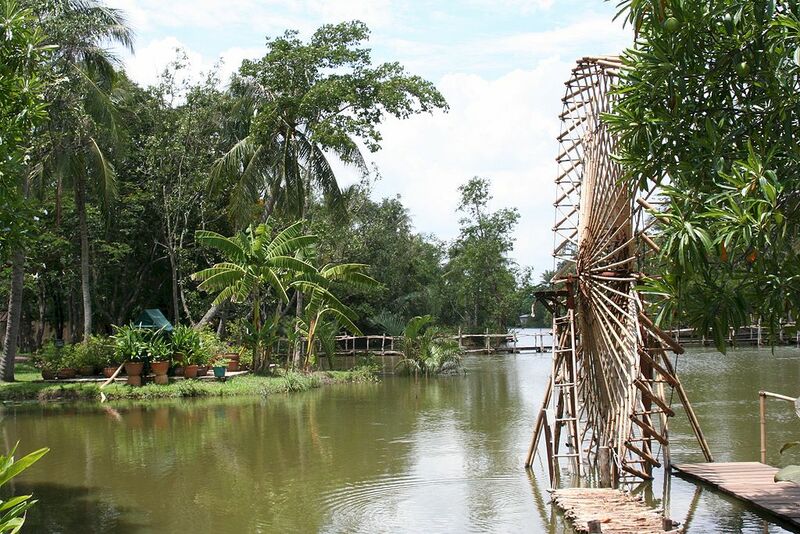 Or head to Van Thanh Park, a miniature of a Vietnamese traditional village. On entering through areca palms lining the pathways, you are greeted by the delightful sight of coconut palms, cannonball flowers, bamboo lanterns and a serene lake view.